Beyond Portugal’s exciting capital city lies a land of beautiful ancient towns, varied culture, wild landscapes and elegant pousadas (hotels). On this excellent-value Grand Designs of Portugal Solo Holiday tour, you’ll get to stand before the dazzling 110m marble façade of the Duke’s Palace, Vila Viçosa. To breathe in the wildflower scents of the tranquil Serra da Estrela mountains. And, along with your new travel companions, to toast adventure with a delicious port wine in Porto, its city of origin. Titan’s VIP door-to-door travel service collects you from home for your flight to Lisbon. On arrival, transfer to the Pousada de Arraiolos (4T+) in the delightful town of Arraiolos for a three-night stay on a half-board basis. Situated in beautiful countryside, this former 16th century convent is an excellent example of traditional and modern concepts of Portuguese architecture. Enjoy an included morning tour of Arraiolos, a small town overlooked by the ruins of a Moorish castle, to discover the town’s history and famous carpet-making tradition. In the afternoon, an optional excursion is available to Évora, a picturesque UNESCO World Heritage city that dates back to Roman times. Full day, guided excursion to the marble towns of Estremoz, Borba and Vila Viçosa. At Viçosa, we enjoy a visit of the beautiful and majestic Renaissance style Palácio Ducal or Duke’s Palace – the symbol of the city and once one of the most important noble houses in Portugal. The 110-metre façade is totally covered in marble from the region making this unique building the town’s most emblematic monument. Today we journey north through beautiful countryside and charming towns to Serra da Estrela. Our base for three nights is the beautiful Pousada Serra da Estrela (4T+), with stunning vistas across Serra da Estrela Natural Park and Serra do Acor mountain range. A day at leisure. Perhaps join a full day optional excursion to the Serra da Estrela mountains, the highest in Portugal. Today is reserved for leisure time. Perhaps take a walk in the delightful countryside, explore the Roman ruins of Bobadela or just relax. We continue north, travelling through the Roman City of Viseu and stop en route in Aveiro, known as the Venice of Portugal due to several canals crossing the town. We continue to the very impressive Pousada do Monte de Santa Luzia (4T+) for three nights, situated on top of a hill, with breathtaking, panoramic views of Viana do Castelo’s sailing port and the estuary on which it lies. Take a morning tour of the coastal town of Viana do Castelo, with its opulent mansions, winding streets and intimate squares, and rich Minho folklore. 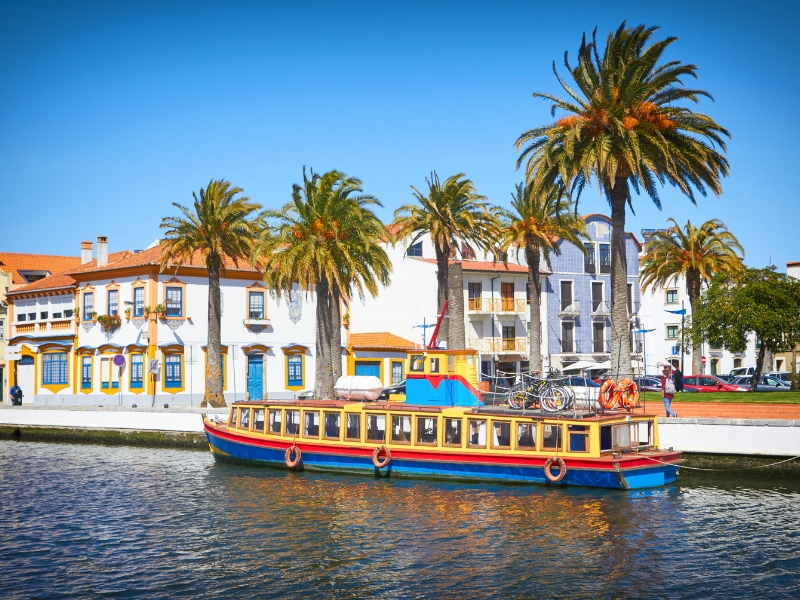 The nearby towns of Ponte de Lima, named after the Roman bridge that aided pilgrims travelling to Santiago de Compostela, and Valença do Minho, are included on this tour. Join an included excursion to Porto, the city that gave its name to Port wine sits along hills tumbling down to the famous Douro River. Here, you may see some of the elegant, traditional, wooden sailing barges – barcos rabelos – used to transport the famous wine; and will certainly see Porto’s landmark, the impressive two-tier bridge – Ponte de Dom Luis I. Porto’s historic Ribeira district is a UNESCO World Heritage Site, with its cobbled streets and impressive buildings glimpsing into its Roman past, and grand churches dripping with gold, Portugal’s second city never fails to impress. Transfer to the airport for your return flight to the UK. Upon arrival, your Titan vehicle will be waiting for the journey home.